Set sail in Dalmatia aboard this beautiful Sun Odyssey 409 by Jeanneau. 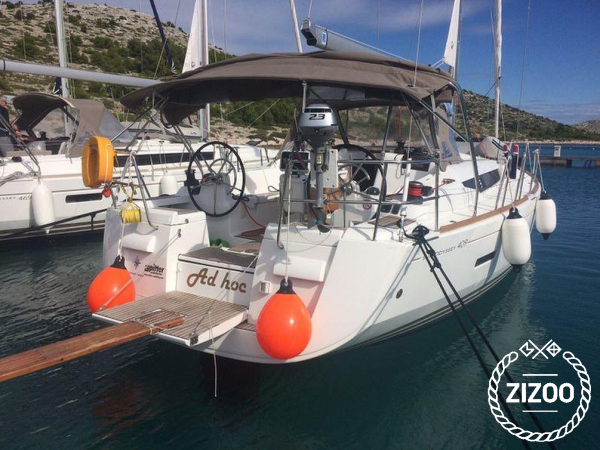 Available bareboat or skippered in Zadar, this lovely yacht is equipped with everything you would need for your dream sailing holiday in central Croatia. The 2015 SO 409 features innovative design elements to maximise space for storage and living. The handsomely decorated interior is full of light and has plenty of seating and room for you and up to 6 other guests to rest after an exciting day at sea. From this yacht charter in Zadar, you will have a chance to explore many of Dalmatia’s incredible islands, including Kornati Islands National Park. Get more tips for your charter in Zadar with our sailing guide and 7-day sailing itinerary.